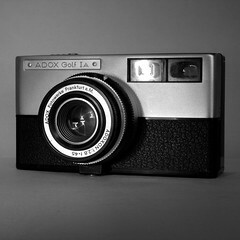 Adox was a German company, also called Dr C. Schleussner Fotowerke GmbH, whose main activity was photo chemistry, film and B&W paper sold under the Adox brand name. The company was founded in 1860; the current Adox website states that this was 'the world's first photochemical factory'. 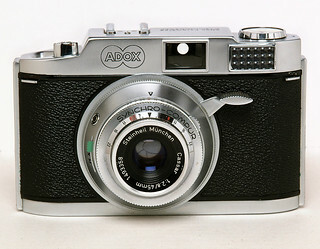 The company produced some cameras from the 1930s to the early 1960s, the most advanced being the Adox 300 with interchangeable film magazines. 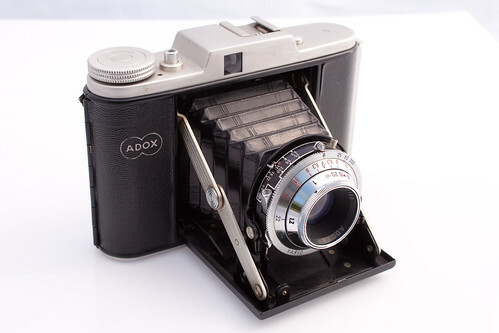 In 1938 Adox took over the camera factory of Wirgin when the Wirgin brothers had to leave Germany to escape from persecution by the German regime of that time. After WWII Henry Wirgin bought it back. The Schleussner company was taken over by Dupont, and in 1972 some of the film making machines were sold to the Yugoslavian company Fotokemia along with the rights to continue manufacture of Adox films under license using the original formulae. When the license agreement expired in the early 90's so did the rights to use the Adox brand name and the films were sold under the Efke brand name. More recently the German distributor Fotoimpex in Berlin registered the lapsed Adox brand name and now uses it for films, papers and a variety of photographic products from different manufacturers. 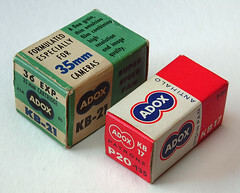 A firm in Calgary, Alberta, also registered the name Adox for their film company in Canada, but uses the brand name Bluefire for their products. 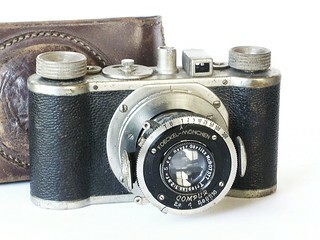 They have allowed Fotoimpex to use the Adox brand in Canada. ↑ Adox history, at Adox. This page was last edited on 18 December 2017, at 08:31.